I’m very thrilled to announce that I will be participating as speaker in Denver’s SQL Saturday that will take place on September 15th. This is a huge step for me as technical speaker, because it was just June when I participated in Denver’s SQL Server User Group speaking about Query Store and now I had the chance to participate on Denver’s SQL Server annual great event. This entry was posted in Career, PASS, SQL Server and tagged Career, Conferences, Denver, PASS, Speaking, SQL Saturday, SQL Server on 09/07/2018 by DBA Master. This entry was posted in Career, Conferences, PASS and tagged Career, Conferences, Denver, PASS, Speaking, SQL Server, SQL Server User Group on 08/01/2018 by DBA Master. In my previous post I did my best explain a little bit what ITIL is and how important is for DBAs to understand better about this framework. Now let’s talk about how to get prepared to pass the ITIL foundations certification test. After spending quite some time researching about what was the best training path to take I figured out there was a few options. If you are lucky enough to get sponsorship from your current employer, there are multiple ITIL training providers that offers all-inclusive training packages in a formal classrooms. In some cases these training packages includes the certification exam to be taken on the 4th day; which in my opinion is a really great because you will have all the information still fresh in your mind. 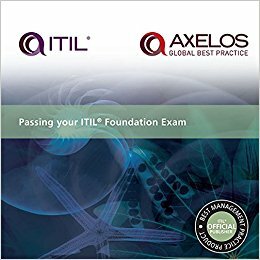 In case you autodidact, like me, you will find a great amount of free\paid resources you can use to best the ITIL certification test. 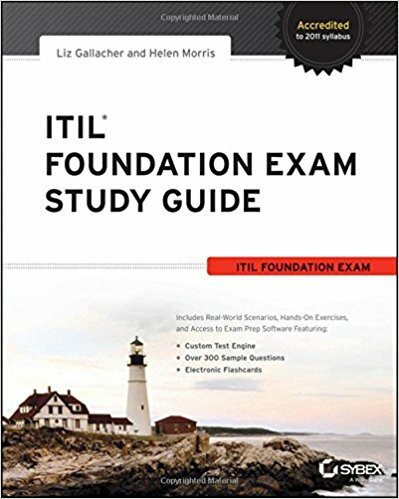 This is an excellent book you case use to establish a base knowledge of ITIL for the foundation tests but be careful it does not cover all the areas evaluated in the exam. This is the official exam reference book and updated in line with the 2011 syllabus, this i s by far the best study aid you will find, it contains every single area (and more) evaluated on the exam. It also include some mockup exams you can use to get an idea of the difficulty of this exam. I have no question about how great these online trainings from Pluralsight and CBT nuggets are and how much they can help you to understand better all the concepts and scenarios described on the books. If I have to choose, in my opinion the two courses from Chris Ward are the best in any aspect, the scenarios are really easy to understand and the way he walk through all the topics is just great. This mobile\table application is the perfect complement to AXELOS’ book, it helps to identify any subject areas where you are still weak and focus study time and practice in those areas specifically. Once you see your results from the practice exams , you can select the area of the lifecycle you need more practice on. This is a free online source you can use to get an idea how you are progressing while studying for the certification exam. The questions are not that difficult but it will definitively helps you to practice. Go ahead a give it a try here. Hopefully this post will guide you to choose the best option to pass the ITIL certification exam. Stay tuned for more DBA mastery tips. This entry was posted in Career, IT and tagged Career, IT Certifications, ITIL on 04/12/2018 by DBA Master.